Whether you’re a hospital CEO, a municipal emergency services director, or a private citizen, when you need prompt, experienced emergency care or medical transportation in the community, nothing beats a locally-owned and operated Massachusetts ambulance company like Medstar. A Massachusetts ambulance company in Worcester, Medstar is truly locally-owned and operated by a highly-experienced management team committed to providing the highest quality care to the communities, facilities, and patients they serve. They’ve assembled a dedicated team of handpicked emergency medical personnel to be a part of this highly-respected Worcester ambulance company. 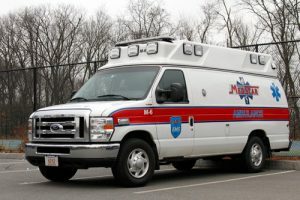 Medstar, as a Massachusetts ambulance company in Worcester, provides a full range of emergency medical and transportation services to treat and transport patients throughout Central Massachusetts. Everything from municipal 911 emergency ambulance service for communities in the region, to healthcare facilities patient transportation and community event coverage. Medstar is a Massachusetts ambulance company that provides healthcare and safety education, as well as, emergency medical and education services in the commonwealth to meet the requirements and needs of a diverse customer base. There is no other Massachusetts ambulance company in Worcester or the surrounding communities that is better-equipped than Medstar. In fact, they are exclusively equipped with power stretchers for optimal patient comfort and safety. From the latest communications technology to seamless electronic medical record hand-offs, Medstar is a Massachusetts ambulance company providing unmatched service and care.